2019 REGISTRATION FORM NOW AVAILABLE ON-LINE - you can PAY ON-LINE as well! Was a fun filled weekend as we danced with God. From the Hokey Pokey, to the Waltz we found out how at different times in our lives we have and will dance with God. We get into the dance a little at a time as we put are body in one part at a time. Square Dancing was a true test of our listening skills as we do se do’d ( or at least tried to ) to the commands of the caller. Dancing to YMCA and Twist gave us a chance to use a freer style of dancing and the Cha Cha Slide gave us a chance to dance solo but, in a group, setting. As we came to the end of our time, we learned of the strength of the Ballet and finally the waltz and how it helps us to stay in tune with God. When we weren’t dancing, we heard how our lives don’t always go in the direction we think it will, sometimes there are many twists and turns that shape our future. There was also a chance to learn a bit more about prayer and what are the different types that can help get is through whatever is thrown at us. We can seek help to show us the ways that we can dance with God. For we are never alone in our dance. Another part to the weekend was the Song “Lord of the Dance” through this song we could see that yes Jesus danced. Whenever you hear this song, I hope that you can use the verse to steer you in the dance of life. You might feel like dancing with great joy at Jesus’ birth or you might want to do a slow lyrical dance as the verses lead up to Jesus’ death, no matter what dance you pick remember that you always have a partner in God. Don’t forget to mark your calendars for next year, April 18 – 19. Hope to see you then! 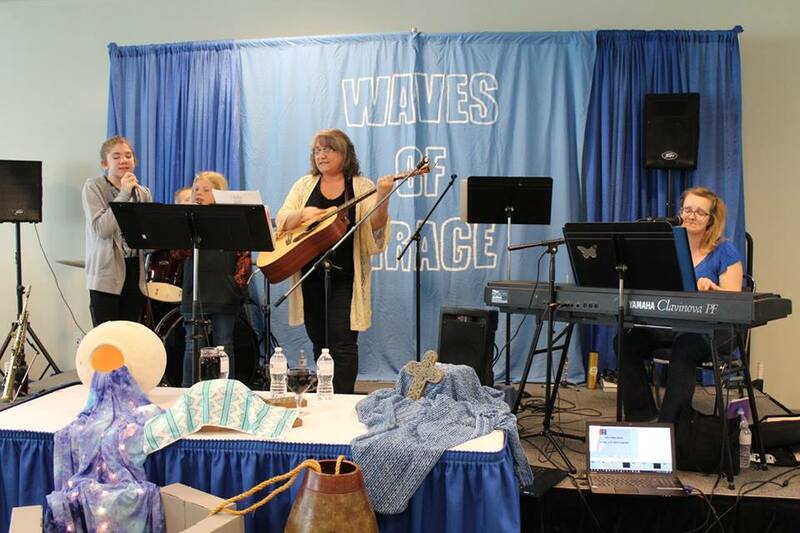 The theme for the 2017 Waves of Grace Women's Retreat was "SPEAK LIFE." 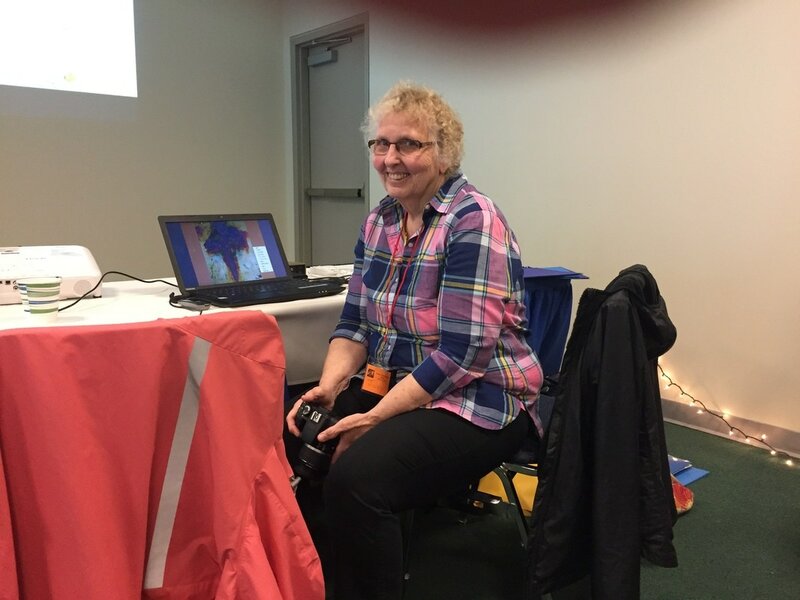 More than 80 women came to dig in to connect with God with the study of the Samaritan women at the well. 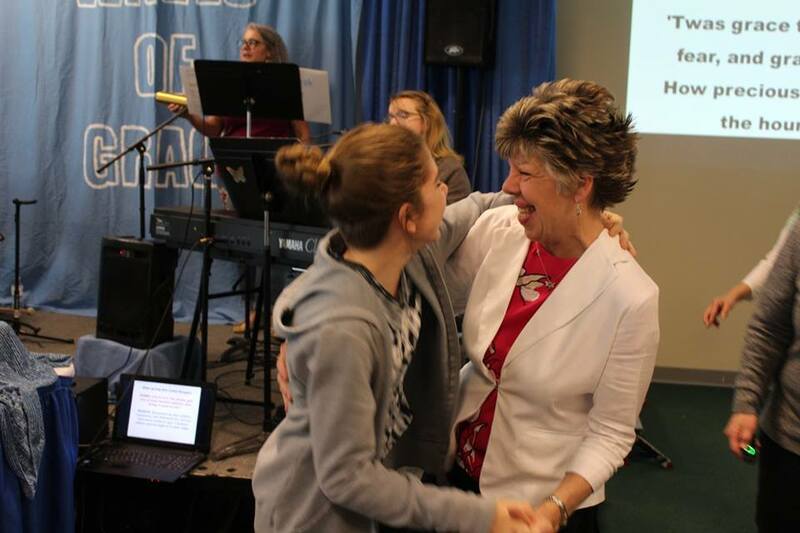 The women encounter Jesus who told her everything she had done, and loved her as she was! At the transformative moment the womans' heart was changed and she knew she met the Coming One, she met Jesus. When her heart was changed, the women then left her water jar and ran back to the village to tell everyone about her Savior.To God be the Glory for the many blessings and abundant grace received by all. 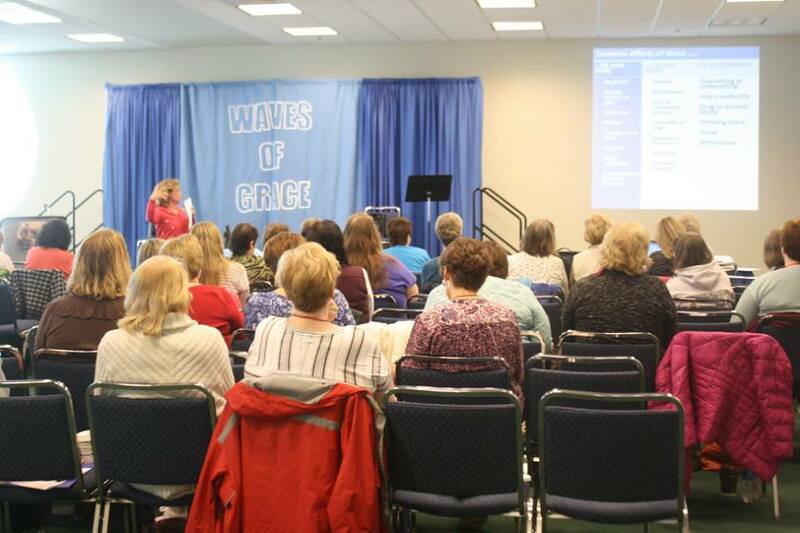 The Waves of Grace Women's Retreat has been steadily growing since its inception fifteen years ago. 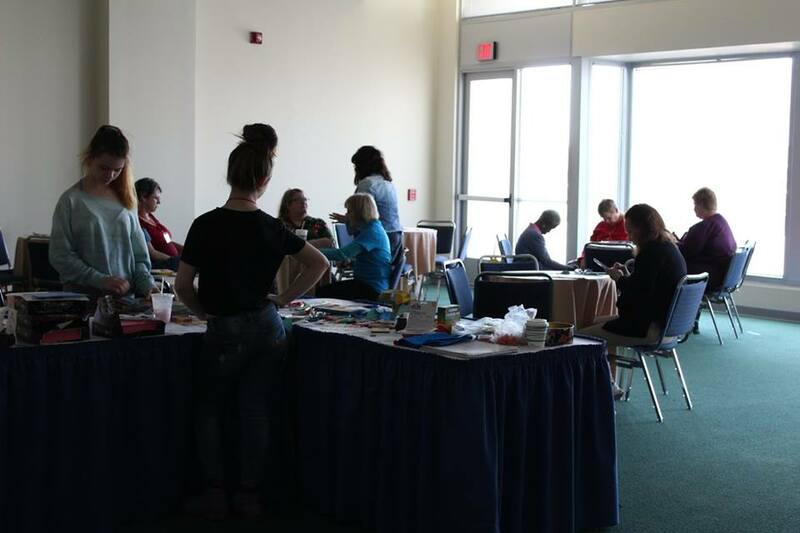 The women began in one of the women's summer house in Wildwood and when they out grew it, moved the retreat to the Wildwood Convention Center. The retreat is open to ALL women with different ages, backgrounds, affiliations, as we come together to be iron sharpening iron and share the love of Jesus!